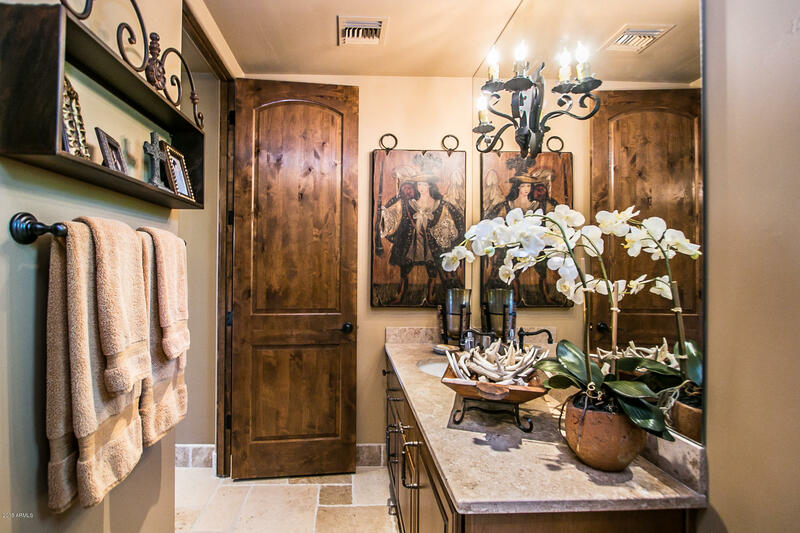 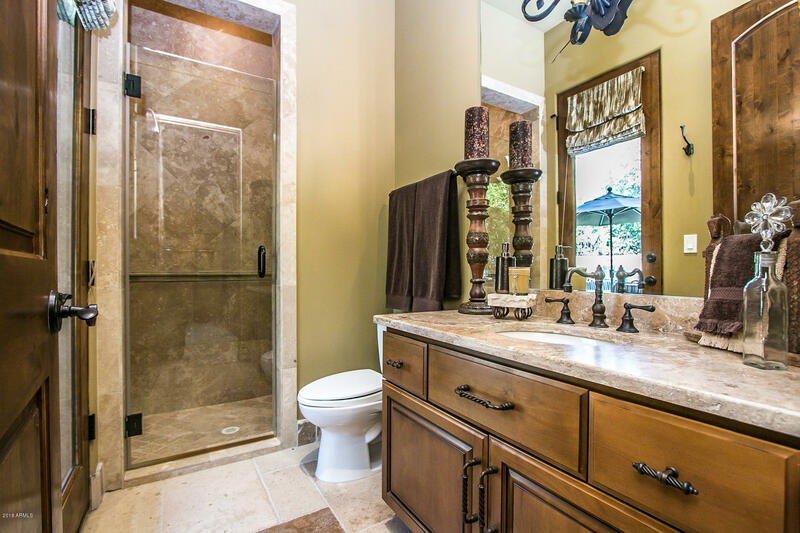 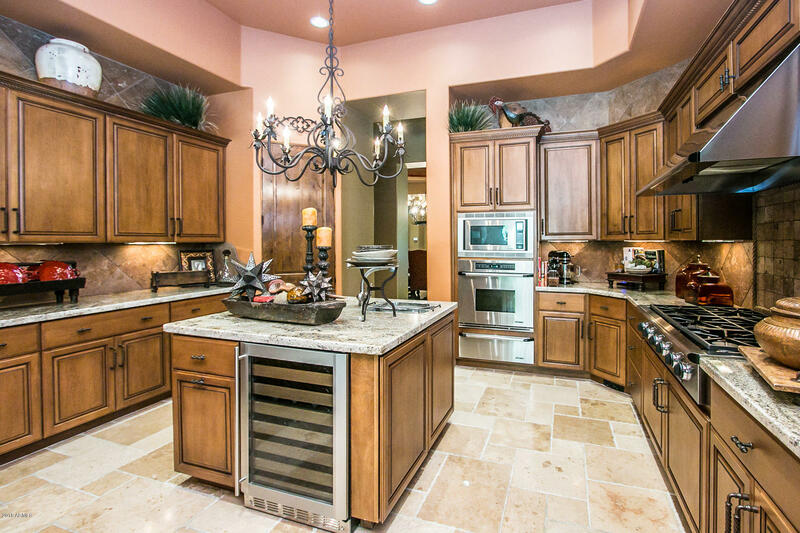 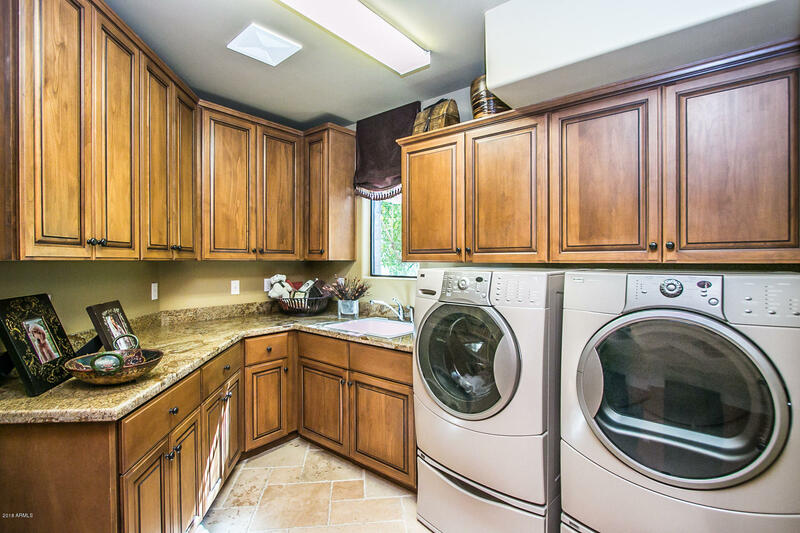 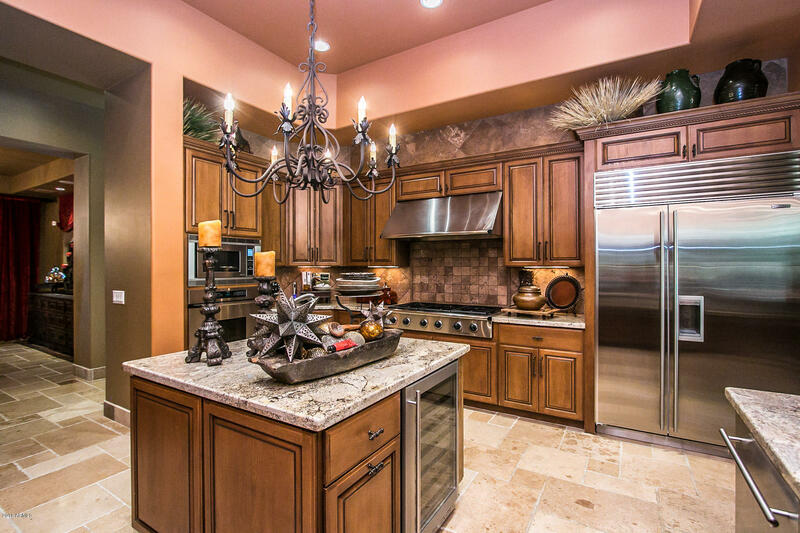 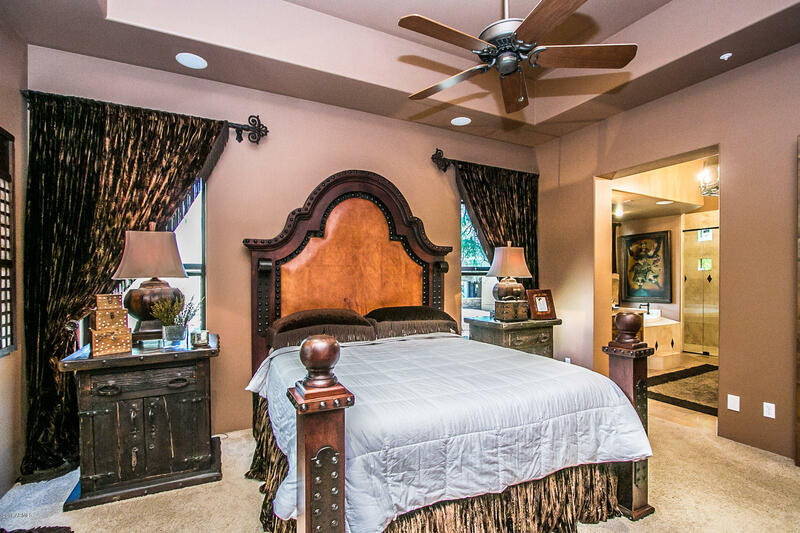 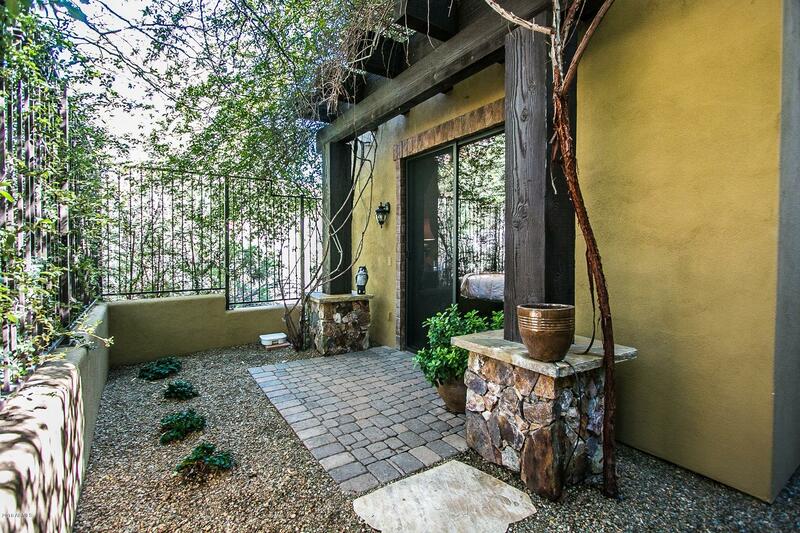 ABSOLUTELY EXQUISITE & New Price Improvement! 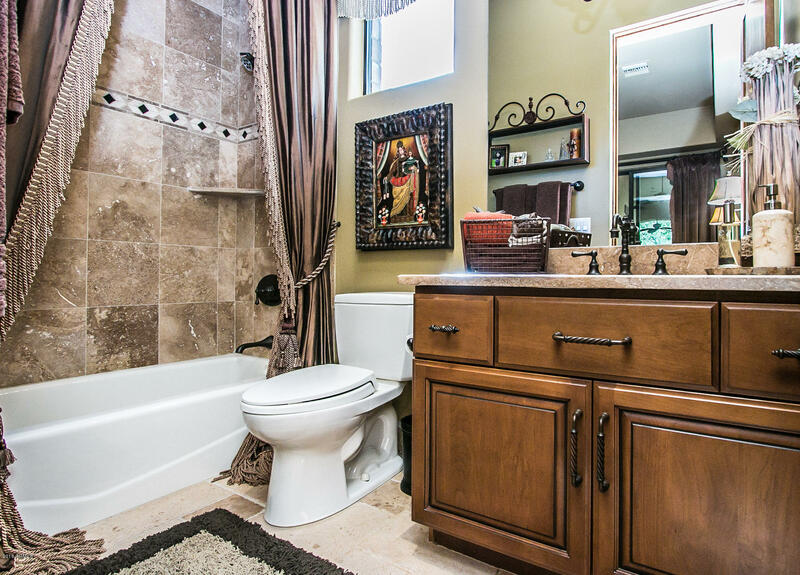 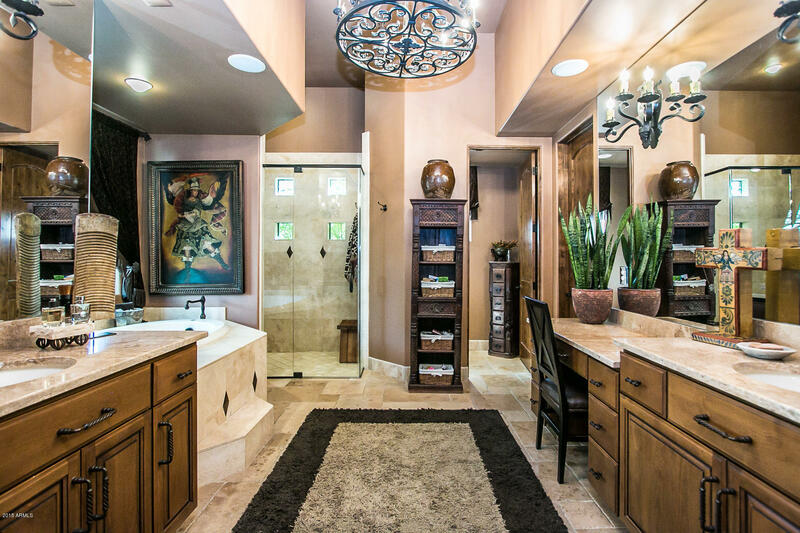 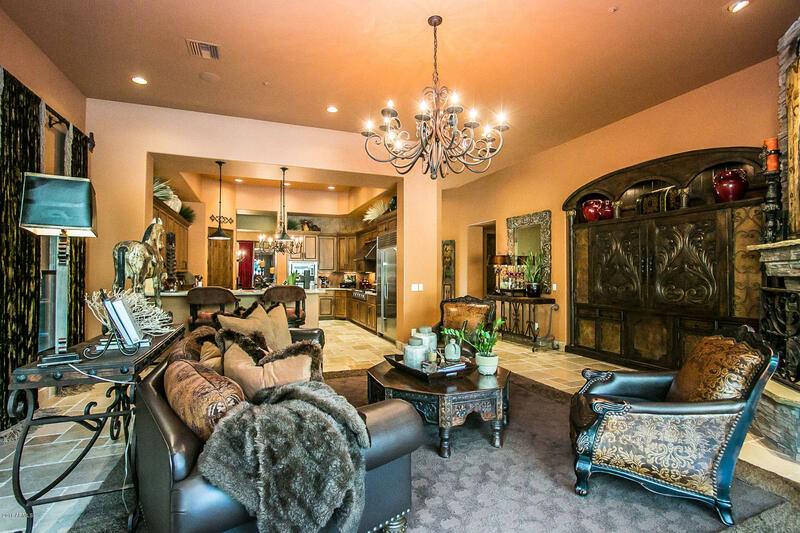 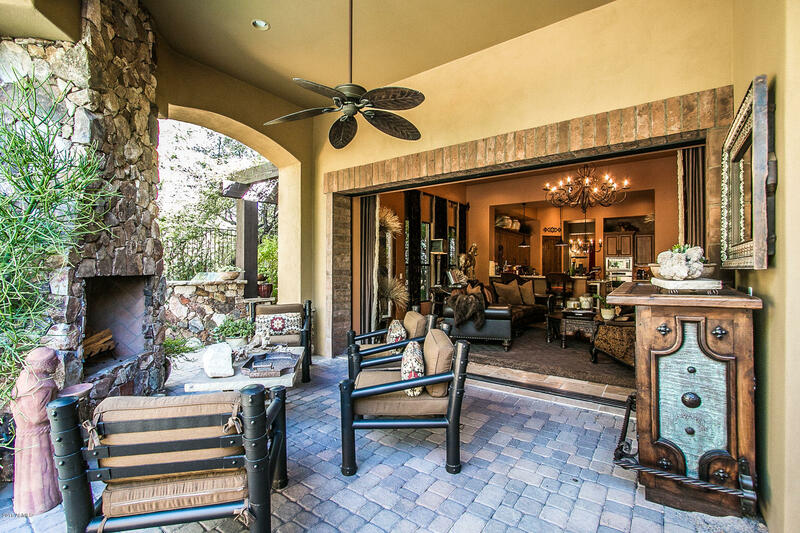 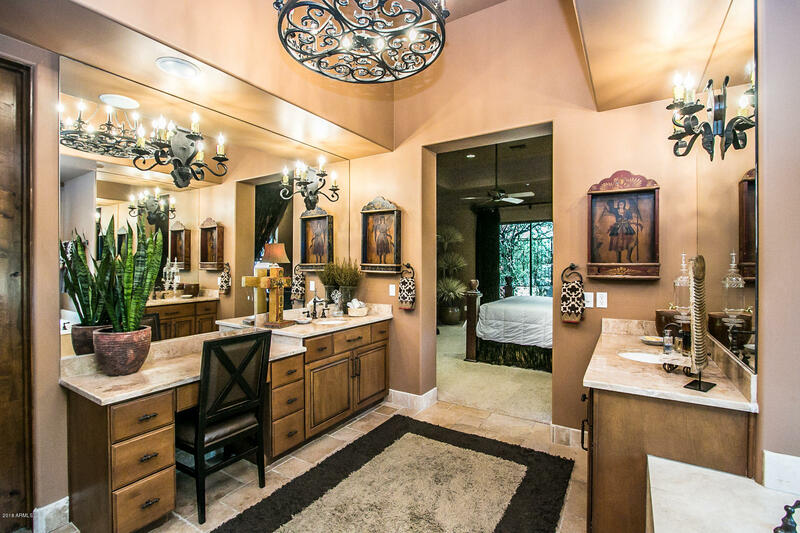 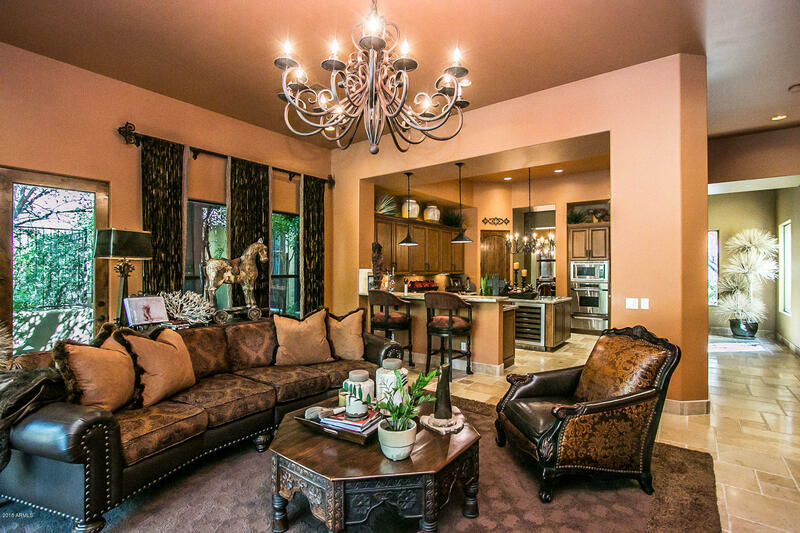 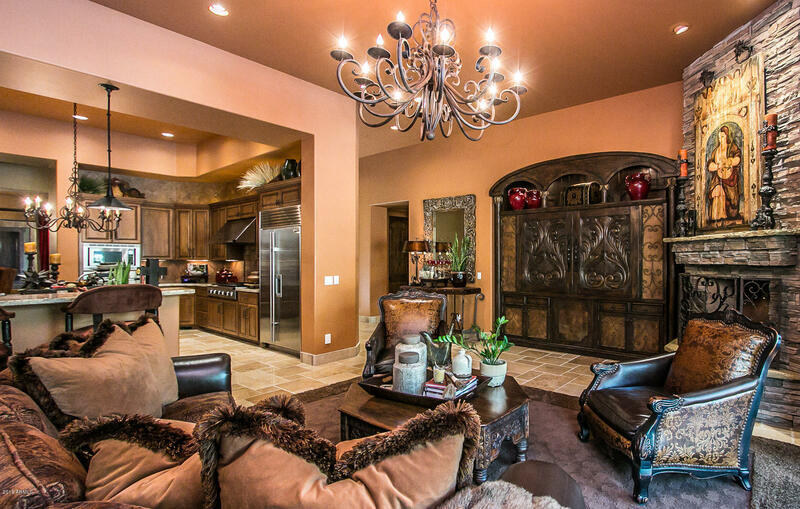 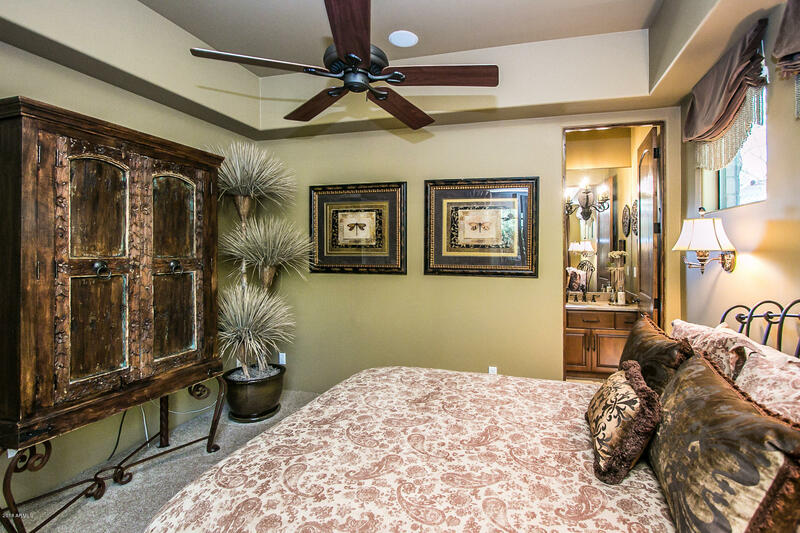 This home is perfect for the most discerning buyer! 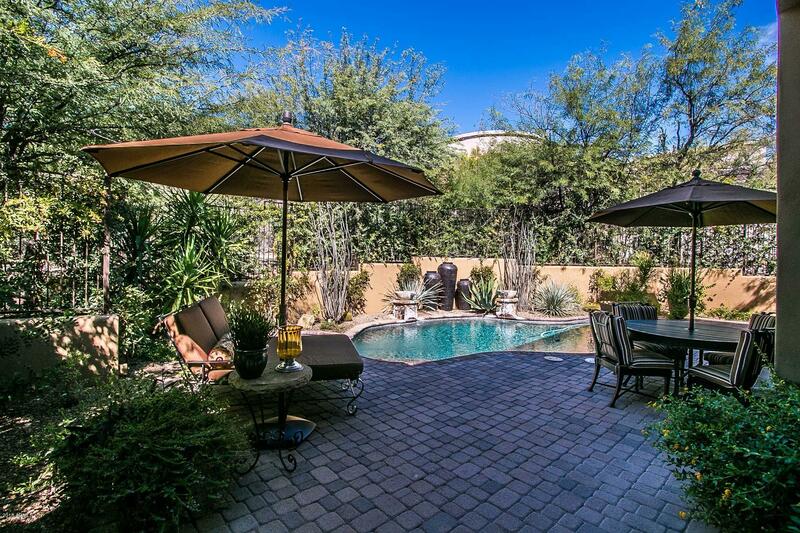 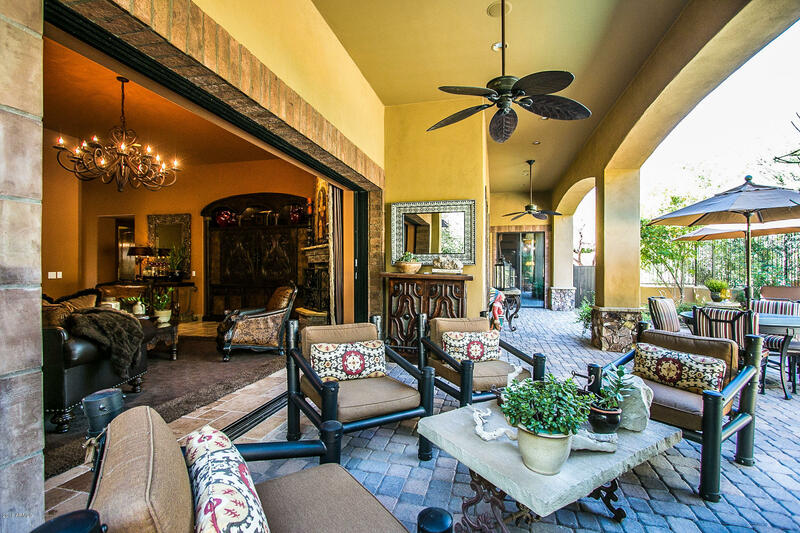 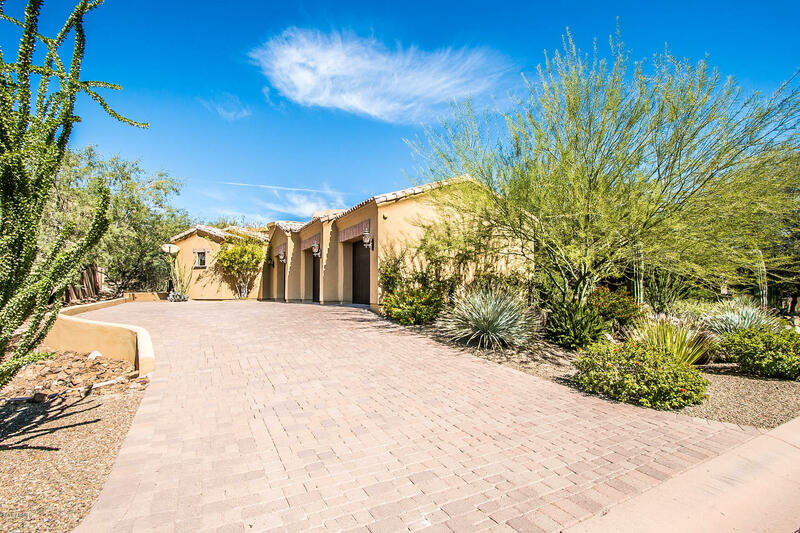 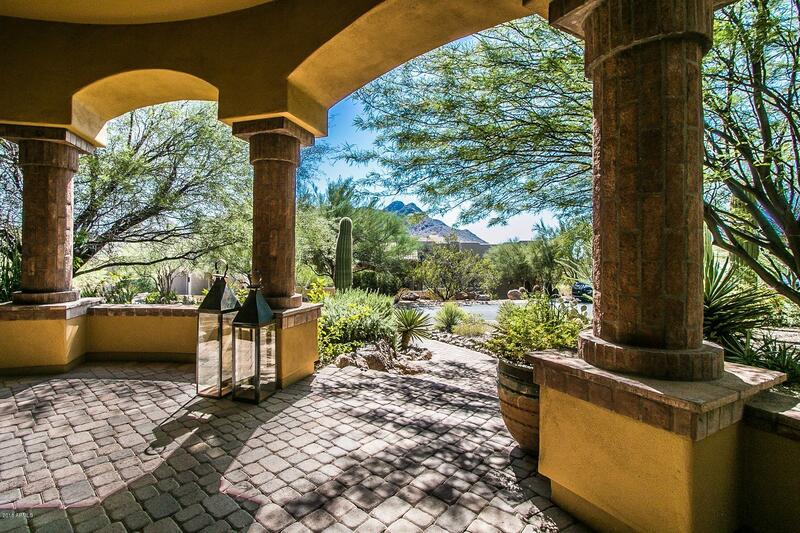 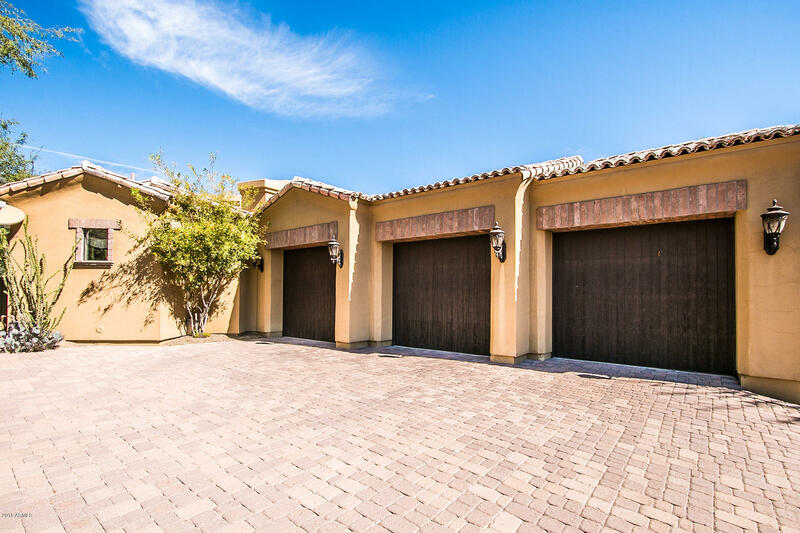 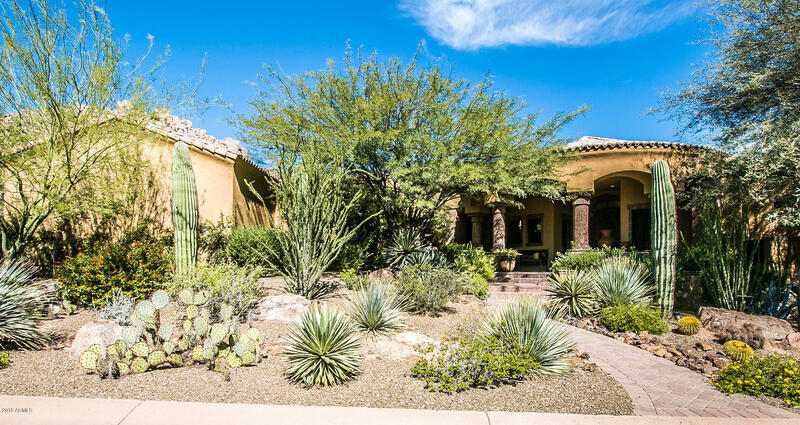 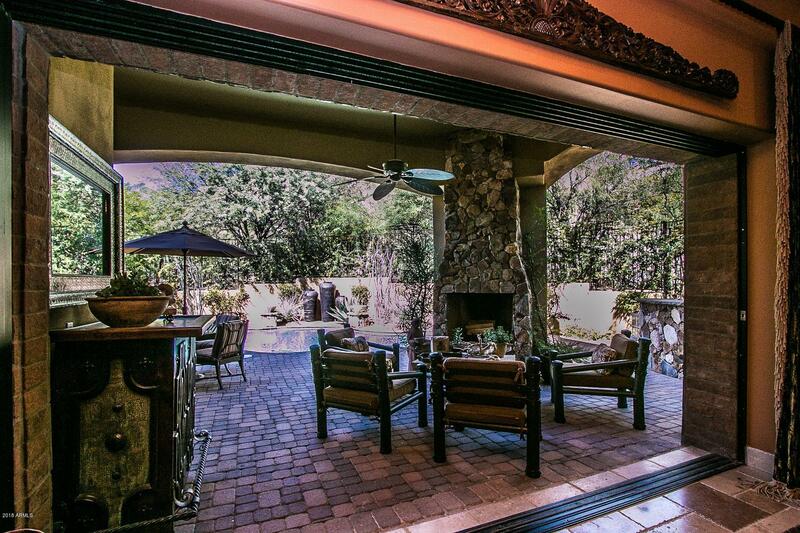 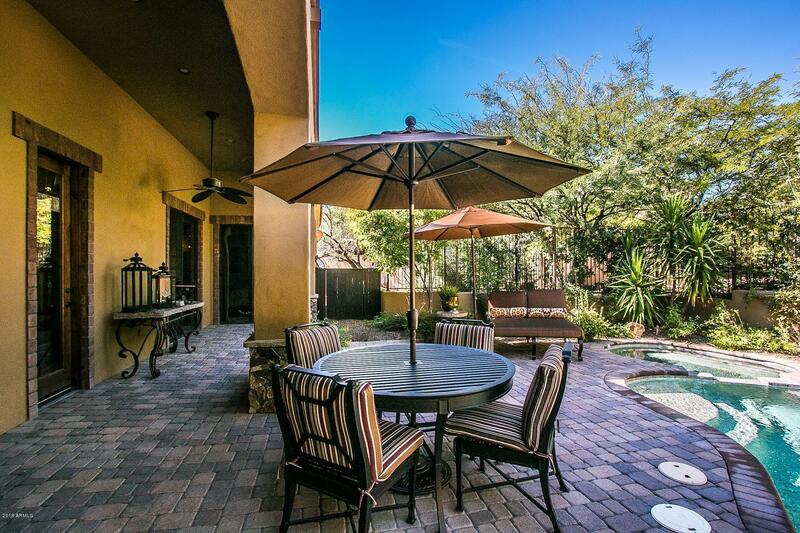 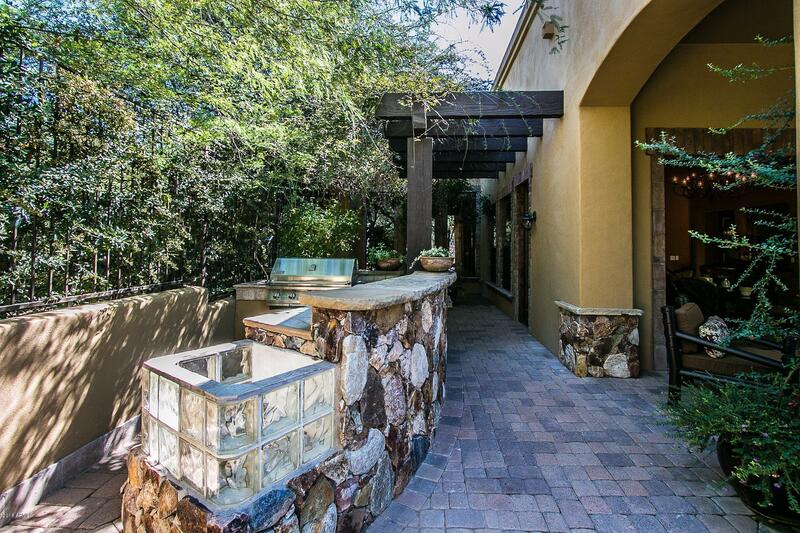 4br/4.5 bath + office , guard-gated Troon home...incomparable to any in price range! 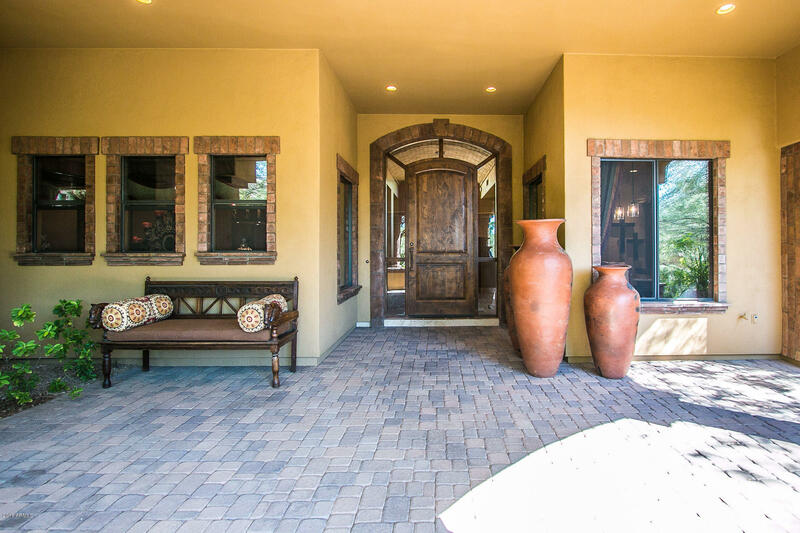 Amazing curb appeal & elevated entry brick pavers sets the tone for this custom designed w/recent $200k of upgrades! 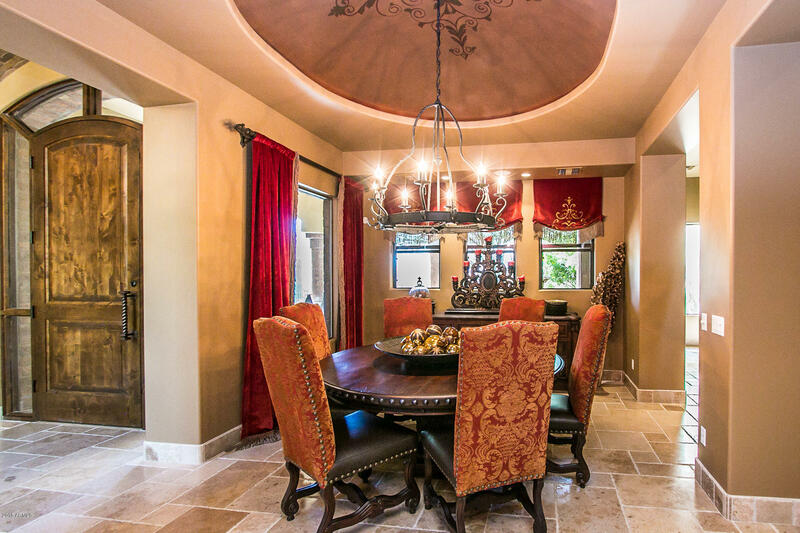 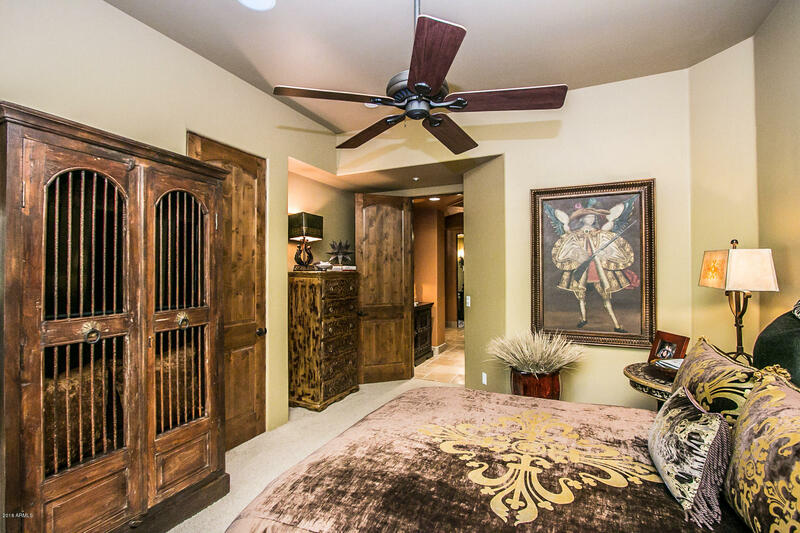 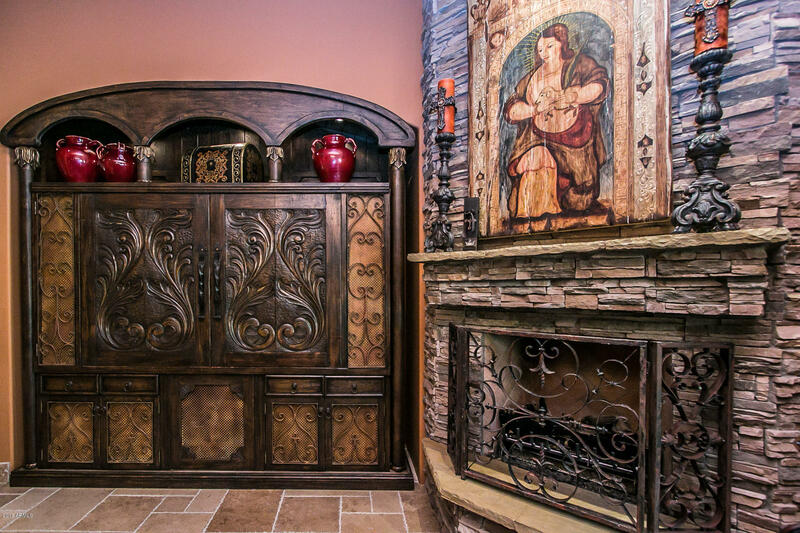 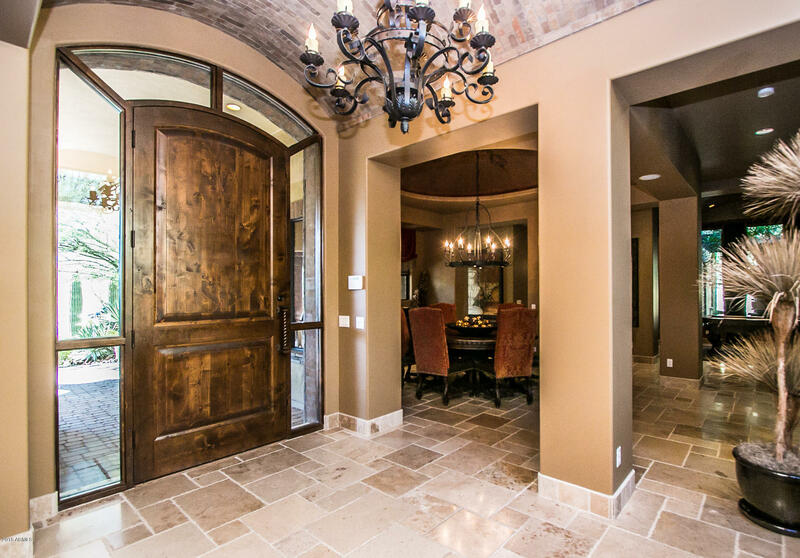 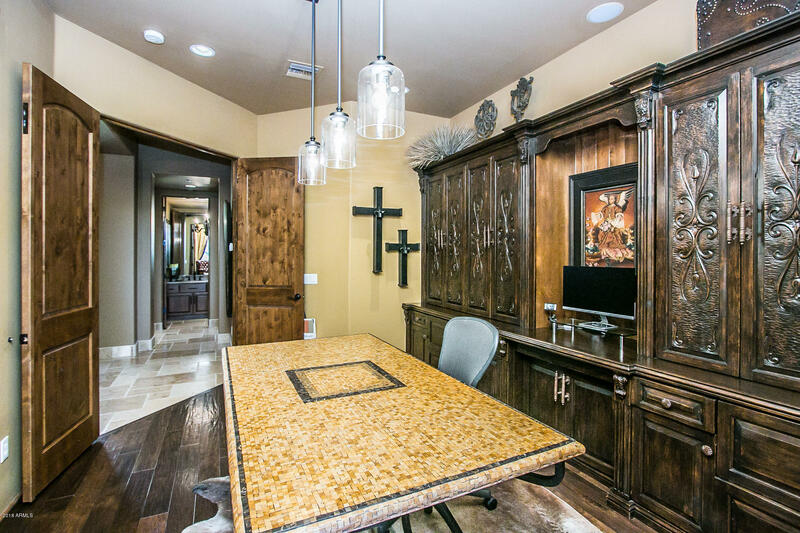 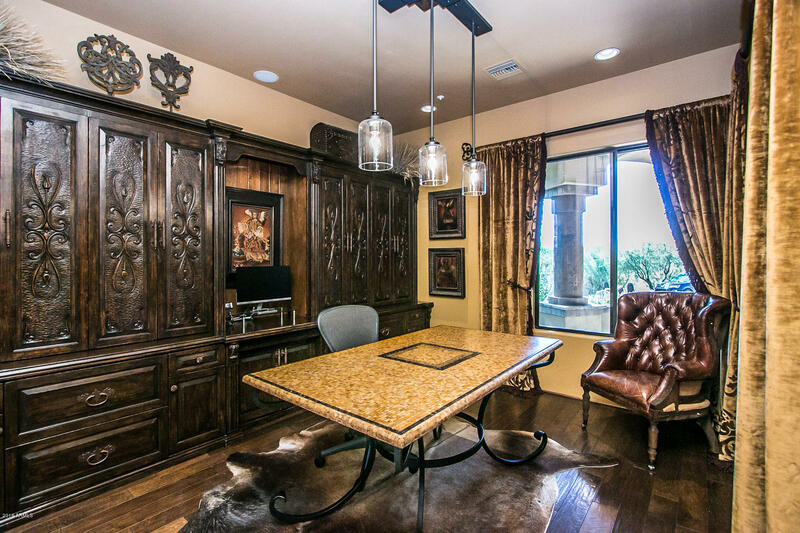 Intricate brick barreled entry ceiling, elegant office w/ hand carved cabinetry & wood floor. 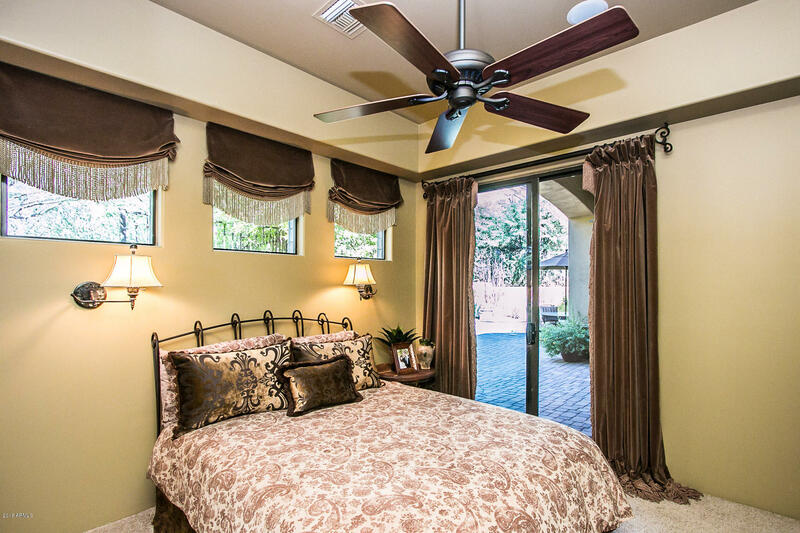 Hand-selected furnishings, lighting & custom drapery compliment each room (avail. 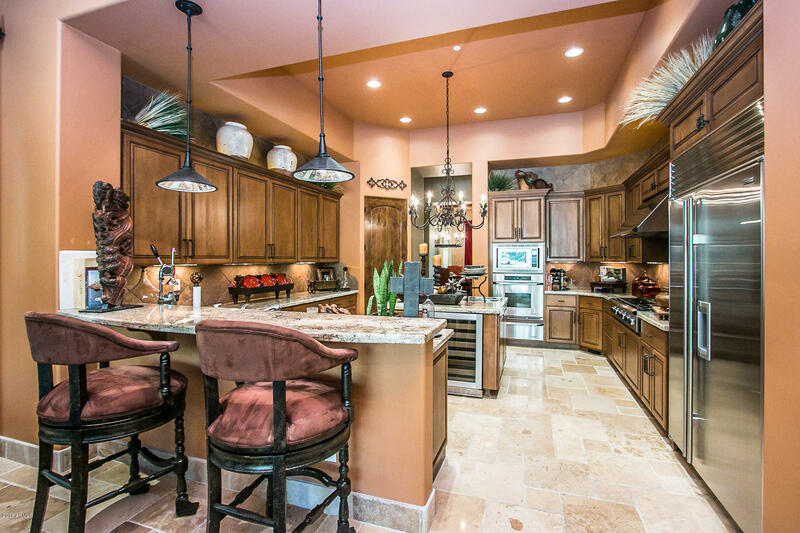 on sep bill of sale) Beveled travertine guides you to high-end kitchen w/Dacor gas cooktop/oven, Sub-Zero fridge, Asko dishwasher & wine fridge. 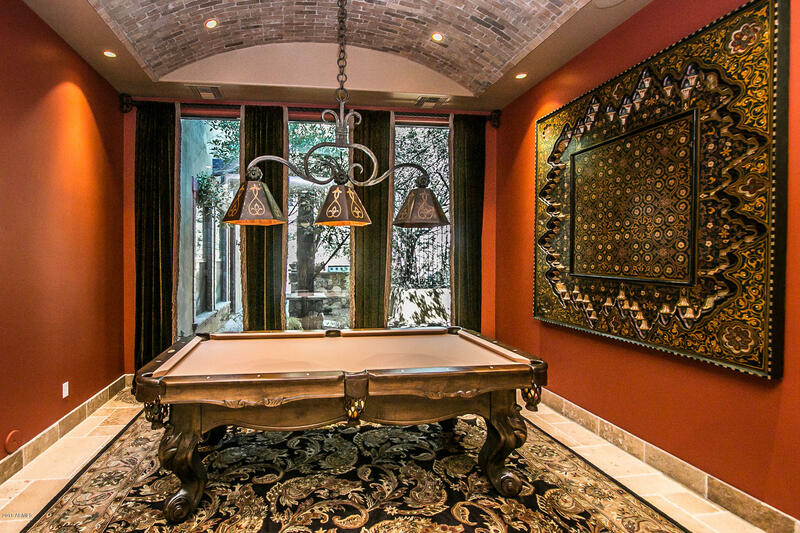 Great room Extends w/ wall of disappearing glass doors! 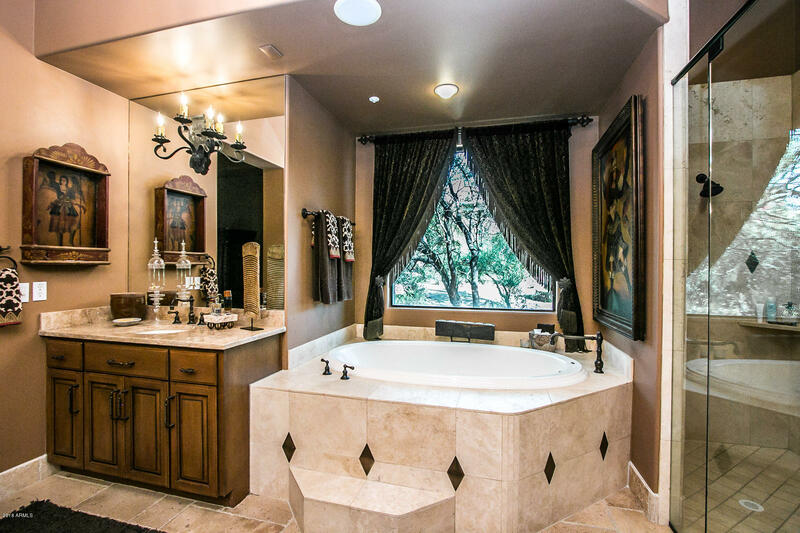 Guest suites nicely sized w/accompanying baths. 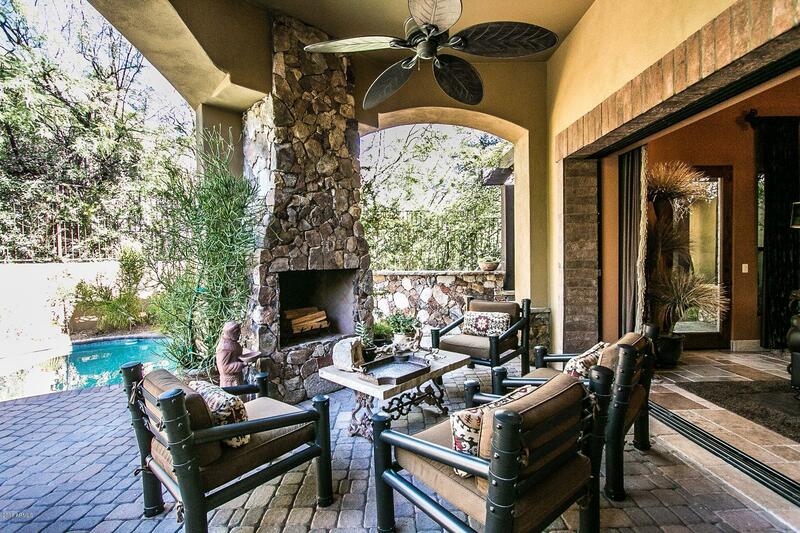 Surround Snd, Security Sys, central vac, soft h20...too much to list! 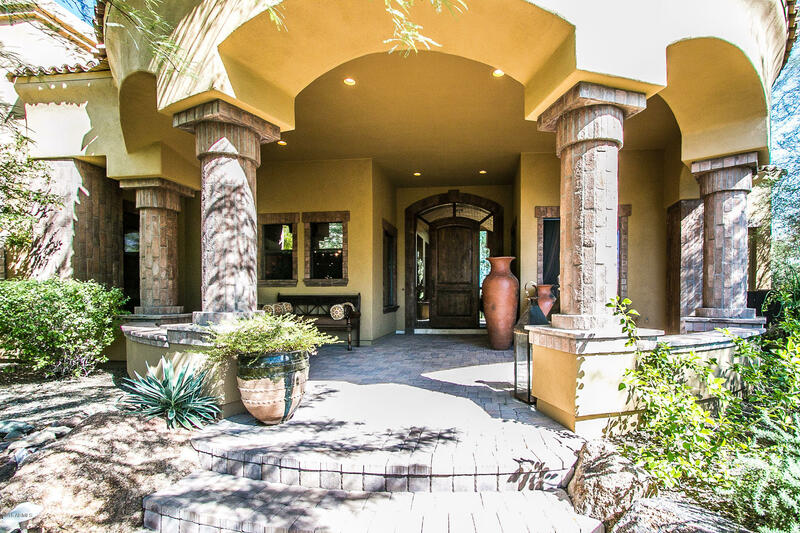 Alma School & Happy Valley Directions: E. on Happy Valley, North on Windy Walk thru gate, right on Troon Mountain, right on 114th Street, quick left on 114th Street, left on Buckskin, Right on Chama.